Calling all the Harry Potter fans out there! Have you ever wished you could visit the Hogwarts campus and walk around to experience all it has to offer? That’s what Active Theory have just produce for Pottermore, the Harry Potter themed website and social network. If you’re signed up to the site, you can explore a full 3D experience of the school through this incredible WebGL experience. It’s so much fun! You can visit Hogwarts by clicking on this link right over here. Good luck! This entry was posted in Multimedia and tagged Harry Potter, Hogwarts, Multimedia, Web Design on September 29, 2017 by stellenboschacademy. Who doesn’t love an adventure? And who doesn’t love Bear Grylls, perhaps one of the most well-known adventurers in our modern times? He’s been all over the world showing us how to survive through a number of methods perhaps most of us would baulk at – sleeping inside animal carcasses for warmth, is just one example. So, outside of us all having to rough it and filter water through our own socks, the next best thing we can do is learn about Bear Grylls through a website – from the comfort of our own computer chairs! That’s where this website comes in. Designed by Outpost, this site makes use of a really smart timeline that allows you to learn more about Grylls’ life, along with some great design, which looks and feels like top-class editorial design. What a great way to deliver information in bitesize chunks so that the user doesn’t feel overwhelmed. You can check out the site here. Have fun! This entry was posted in Multimedia and tagged Bear Grylls, Design, Multimedia, Web Design, Website on September 27, 2017 by stellenboschacademy. Anna Beeke is a photographer from America who was born in Washington DC but now works out of Brooklyn, New York. She specialises in documentary and fine arts photography. In this post, we’re focusing on her work, At Sea, where she spent time photographing the goings on on a cruise ship – the guests, the staff behind the scenes and the feeling of it all. We love the way she captured just what it feels like to be on a cruise – all the good and the bad. We especially love how she capture the GPS coordinates of every photo – giving them a literal sense of space. To see more of Beeke’s inspiring work, give her site a visit over here. And if you’re interested in doing a short course in cruise ship photography, don’t forget that we offer one! You can learn more about our cruise ship photography course and when the next course begins here. This entry was posted in Photography and tagged Anna Beeke, Cruise Ships, photography on September 25, 2017 by stellenboschacademy. We’ve always loved the way craft beers are able to push the boundaries of design, illustration and branding. It’s something that’s expected from the category. The strictures of Big Beer are not felt in the same way when you’re a craft brewer. Here, we’re sharing work from Cactus Denver, for the Odell Brewing Company. We love how the brand has allowed itself to be more creative here. Instead of the typical perfectly lit beer can shot, with just the right amount of (most often photoshopped) condensation on the side, this campaign just shows an illustration of the can. We see it in many potential scenarios, showing how versatile the brand can be and best of all – the illustrations look great! This entry was posted in Art Direction, Design, Illustration and tagged Art Direction, Cactus Denver, Illustration, Odell Brewing Company on September 22, 2017 by stellenboschacademy. The premier African language creative awards show, Pendorings, has just announced their finalists. We are so proud to say that four of our students were named as finalists, of the seven who had work submitted – what a great return! Well done to Susan Duvenage, Sophia Louw, Katherine Joubert and Keagan Clack! We’ll be holding thumbs. Ons sal duim vashou! You can learn more about the finalists here at the official site. There’s also a great release about all the finalists and the awards here on Marklives. This entry was posted in Academy Work and tagged Academy Work, Awards, Pendoring Awards, Stellenbosch Academy on September 22, 2017 by stellenboschacademy. More good news! 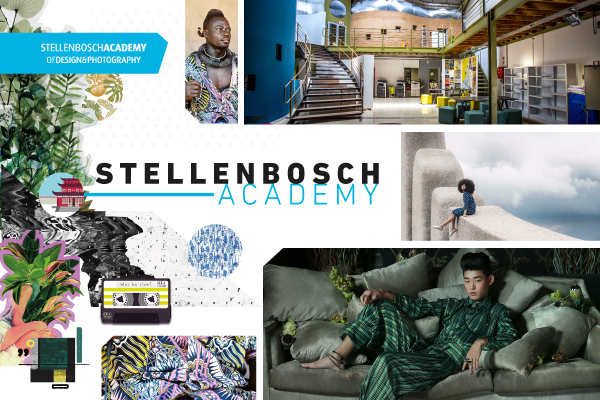 What a great few weeks this is turning out to be for us at the Stellenbosch Academy! This award show is presented by the Institute of Packaging South Africa, and the category and overall winners will be announced at the ceremony, which will be held at the Two Oceans Aquarium in Cape Town on 26 October. You can learn more about the Student Gold Pack awards here. This entry was posted in Academy Work, Design and tagged Awards, Design, Packaging, Stellenbosch Academy, Student Gold Pack Award on September 20, 2017 by stellenboschacademy. Such a fun spot by TMW London! With art direction that is just spot on – from the colour palette through to the set design and a great script; this is the kind of fun advert that can actually bring a smile to your face, instead of just interrupting what you were doing and demanding you buy something. We love the wry take on adult life, with honest stories about how we all let things slide, coupled with the positioning of Kinder Bueno as a reward for doing all these boring adult things. Perfect! This entry was posted in Art Direction and tagged Adulting, Art Direction, Film, Kinder Bueno, TMW London on September 20, 2017 by stellenboschacademy.